Starting yesterday, I have joined Carrie Clayden at her fabulous shop - Hip Chick Designs! I am beyond excited at this opportunity to make a long time dream of mine come true! Hip Chick Designs is an Art Studio & Gift Shop located in Benicia, Ca. How did this amazing adventure begin? Well, it all started with chalk paint! Ha! I was looking for a local stockist that sells Annie Sloan Chalk Paint and I found Hip Chick Designs to be my closest location. 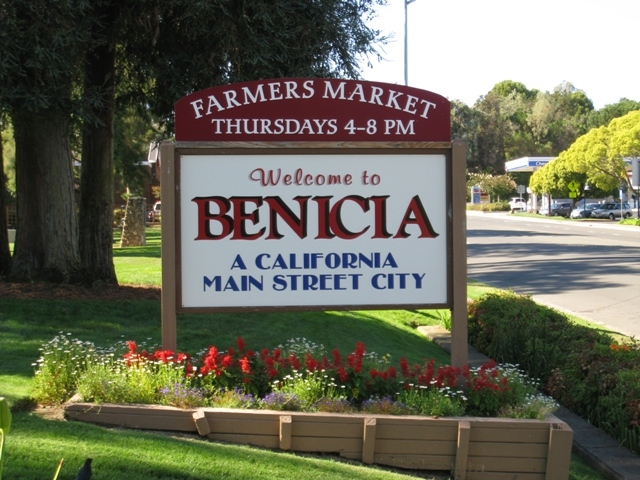 I ventured out to Benicia, which is a quaint town full of art galleries, antique stores, shops, restaurants, and more. Located right on the water in the Bay Area, it is a great place to spend the day. Once I walked into this store I felt right at home! I met Carrie and we just immediately “clicked” as they say. I told her about my project – painting my antique dresser – and then we continued to talk for over an hour about…everything! Besides having an awesome retail space, she also has a working art studio in the back. I have long dreamed of being part of a space exactly like this. Over the last few weeks we have continued to get to know each other – finding out we have an uncanny amount of things in common – and a shared desire to create! Carrie is an amazing and talented artist. See some of her original art on the Hip Chick Designs website here. Working with her will be both inspiring and motivating. I am looking forward to where this new adventure will take the both of us! Wow Laura--this is so exciting! I can't wait to see what you do here! Carrie's work looks amazing and I can't wait to check out more. Also, so thrilled to meet you tomorrow at the flea market!